We are a Cairns based company who have been running tours for 20 years now and over the past 8 years have expanded our range of tourism ventures to cover tailor made tours and Educational programs for groups. We specialise in the Atherton Tablelands, Outback, Cape Tribulation and the Daintree Rainforest. 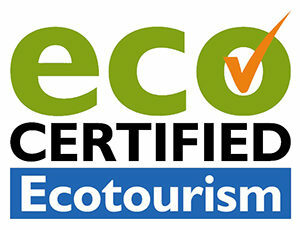 We also own and operate “On the Wallaby Eco Lodge” on the Atherton Tablelands. With our educational groups we try to get the right mix of learning and fun. By playing games, listening to music and interacting with the world around them, we have found that the students are a lot more engaged and open to learning. We believe that it’s not just about enjoying the areas we visit but also the journey through them! We have found that being able to study out in the field as opposed to in the class room is a far superior method of teaching as it creates a relationship to these areas and increases the impact and quality of work that the students produce. In addition to tailor made tours we also own On the Wallaby Eco Lodge in the heart of the Atherton Tablelands (just 1 hour from Cairns). Our cozy eco lodge can sleep up to 45 and has become popular for groups, providing affordable accommodation, meals, day and night wildlife canoeing and mountain biking tours. We have been working hard on our journey to becoming an Eco Lodge and now also offer groups a unique opportunity to experience first-hand how careful design and practices allow us to store our own power, and to save water with a variety of water saving devices including a grey water system. There is also a series of low-key interpretive opportunities to help learning through signage and interactive displays about the conservation and energy generating systems in use. Our worm farm and composting bays also shows how to minimise wastage and also feeds and nourishes our edible gardens and trees.